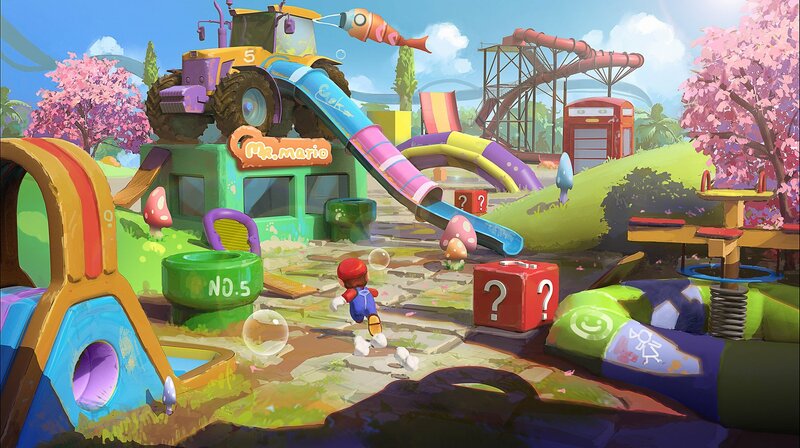 Nintendo has really pulled out the stops with the game's latest trailer, which showcases everything from various abilities of Mario's sentient cap Cappy to some of the features and environments players cna expect to find within the game. Mario is shown commandeering a tank, collecting the new Power Moon items, and donning various outfits in order to effortlessly blend in with the style of the local area. The trailer also showcases variou sminigames, like Koopa Free-Running, RC Car Challenge, and Jump Rope Challenge, including the option to compete for high scores on local and global leaderboards. To say that Super Mario Odyssey appears to be shaping up well would be an understatement: the game looks every bit as good as Mario fans would expect, and will no doubt serve to push the franchise toward a much brighter and more varied future. Nintendo Switch players can expect to get their hands on the game when Super Mario Odyssey launches this October 27. Keep on top of the best Nintendo's hybrid console has to offer by checking out some of the fantastic titles we've featured on our list of the Best Nintendo Switch Games.